There are many tools that help you easily create infographics (easel.ly, piktochart, venngage, among others). 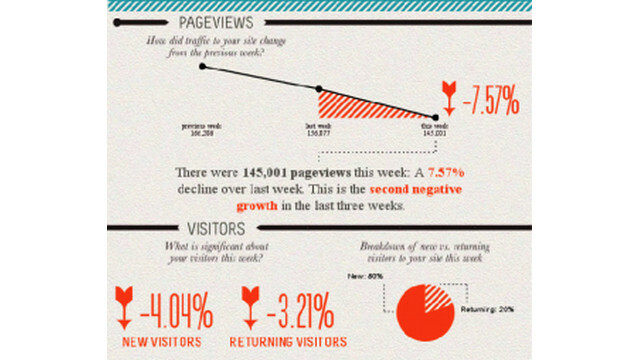 One of the tools we use, visual.ly, recently introduced its Google Analytics report which sends you a custom infographic of your website’s performance each week, including change in page views, time spent per visit, new vs. returning visitors and more! It also shows how you’re doing with social engagement (Facebook and Twitter traffic). It’s a great way to check progress on a weekly basis. Learn more here.